Earthing body band kits each come with one small and one large adjustable bands and two coil cords. Earthing Body Bands can be used anywhere you stretch, work out, sit, relax, or sleep. 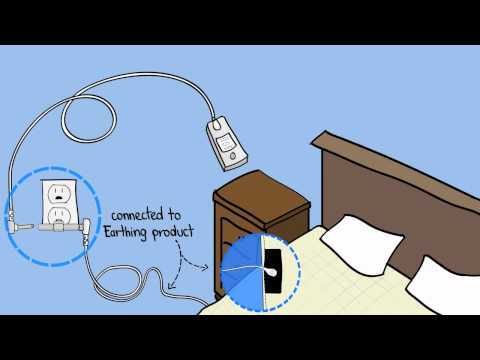 In order to use your Earthing Body Bands, you must connect it to the “ground port” of a grounded 3 prong outlet. Before plugging in your Body Band, you must check that the outlet is grounded by plugging in the outlet check, supplied. In order to use your Body Band, you must connect it to the “ground port” of a grounded 3 prong outlet. Before plugging it in, you must check that the outlet is grounded by plugging in the outlet checker. 2 AMBER LIGHTS illuminated is GOOD and means that you have a proper ground and you are ready to connect your Earthing product. 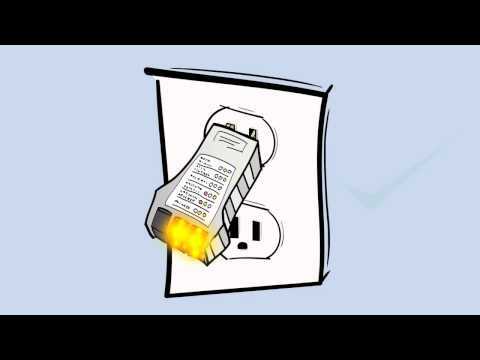 OTHER LIGHT COMBINATIONS means your outlet is NOT properly grounded. Try testing another outlet. If it still doesn’t work, then you will need to use a grounding rod. You can order one at Earthing.com. First Push the Ground Rod directly into the earth(8" to 10") close to the foundation of the building. Run the cord from the Ground Rod, under or around a window or door, near where you will be using your product. Make sure to cover the cord to prevent tripping. Plug the prong end of your cord into the receptical end of the Ground Rod cord. 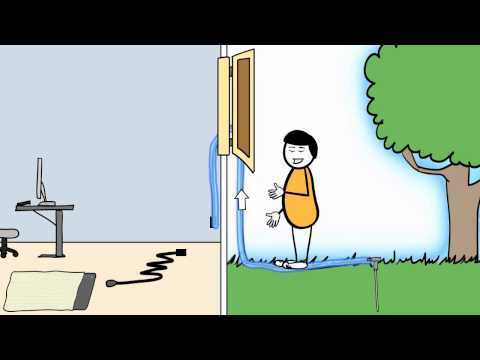 If you live in a dry area, such as a desert, soak the earth around the Ground Rod from time to time for maximum conductivity. The purpose of the tester is to verify that your Body Band is conductive. It contains two replaceable batteries. 2. Plug Earthing cord from Body Band into one of the two splitter receptacle ends. 4. Place product tester flat on the products conductive side. The round metal plate must be in contact with surface of the conductive inside of the band. The other side is not conductive. Press firmly to obtain a good contact. A green light means that band is in working order. In unlikely case that no green light comes on, the band may be defective or has lost conductivity and should be replaced. Sometimes, people have difficulty testing their band. If the light doesn’t come on, try this simple approach. Place one hand on the inside of the band while holding the tester in the other hand and with one finger on the silver button on back of tester. A green light would show that the body is grounded when touching the band. Make sure that both the tester and the band are plugged in to the ground, as described above. The reason for perhaps the light not going on: you aren't pressing hard enough on the tester. The surface fabric of the band sometimes prevents the button from contacting the conductive silver fibers of the band. The surface seems smooth, but if you were to look at it with a microscope you would see "hills and valleys." The pliant surface of the skin, unlike the hard metal button, will bend around fibers and make good contact. You can also put some moisture on your finger tips to create a better contact. 6. Re-insert Earthing cord from band into ground connection. 7. You don’t have to test your band often. Perhaps after cleaning. The more you use the tester, the sooner the batteries in the tester will expire.